I love two-stroke motocross bikes, there’s no doubt about it. And if there’s one thing I don’t want to see, it would be the discontinuation of two-stroke dirt bikes. They are just so much fun to ride, and cheaper/easy on maintenance I might add. So, I try to keep up on the latest news about the industry. Fortunately, Two Stroke Motocross.com is there to fill me in on everything I need to know, and more! I have a million things to do around here, so reading every little article on the net about this topic is just not feasible. 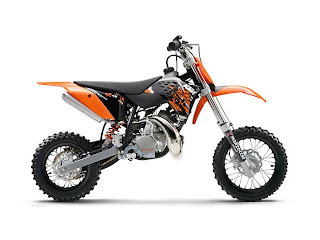 Two Stroke Motocross gathers the best, and most important things to know about the two-stroke industry, so I only have read one article to get the latest and greatest information. They post updates about two-stroke dirt bikes, motocross teams, tips and how-tos, and many other articles to fill your 2-cycle hearts’ desire. I really liked their post, “Two Strokes and Attitude” because it not only gets you to want to persuade people to start riding two-strokes again, but it shows you the best ways to go about it in the motocross community. If you are a die-hard two-stroke motocross fan like me, you’d better check out TwoStrokeMotocross.com Here now! You won’t regret it; they even have their own TSM Racing Team!! And remember that the best way to bring the two-strokes back is to go out and buy one! Why Does My Dirt Bike Keep Fouling Spark Plugs? Sick of having to replace the spark plug on your dirt bike almost every ride? Chances are, it’s a fairly easy fix. But there can be several variables to the equation. Incorrect jetting is the number one cause of plug fouling, but we’ll get a little deeper into what the most common causes could be and how you can fix them before spending a ton of cash on spark plugs. First thing to do if your spark plug has been fouled is to check the air filter. If it’s really dirty, that makes it difficult for air to get through to the engine, causing a rich condition. Either clean it thoroughly with some Air Filter Cleaner, or buy a new filter. Before you put it back in the air-box, treat with some air filter oil or spray. BE CAREFUL, though, because adding too much oil can also clog up the filter, resulting in another fouled plug. What Mixture Are You Smoking? (For 2-Strokes) While the gas/oil ratio doesn’t equate to what the jetting is, you can still foul plugs, or worse, if the mixture is wrong. Depending on your bike, it’s best to look at your owner’s manual for the correct ratio. 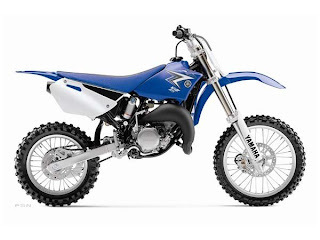 For most 2-stroke motocross bikes, a ratio is 32:1 or 40:1, gas being 32 or 40, and oil being 1. For those that don’t it, it means that for every 128 ounces (one gallon) of gas, you add 4 ounces of 2-stroke oil for a 32:1 ration, or just over 3 ounces for a 40:1 ratio. If you have too much oil in the mixture (such as 12:1), then you will probably end up fouling the plug because it is more difficult to burn that much oil. Don’t try to cut corners with the oil though, because it’s very important for your dirt bike’s engine. 2-stokes need the oil for lubrication on the cylinder walls, so if you don’t have enough (or any for that matter) then the cylinder walls will run dry, causing it to overheat and seize the engine very quickly. So it’s very important that you put in the right mixture pre-mix to your 2-stroke gas tank. Also, 2-strokes have reeds that air and fuel go through into the cylinder, so if they are cracked or broken the bike will not run right. This could cause the plug to foul, so before you go out and buy anything expensive, make sure the reeds are still good. While this usually isn’t the main problem, it could be that your spark plug isn’t burning hot enough. Having a hotter spark will ignite the fuel stronger, leaving less residual gas/oil in the cylinder that could cause the plug to foul. This isn’t the best choice, but I’d say it’s safe to go one plug hotter than stock. Spark plug manufacturers aren’t always the same, so make sure you find out how they rate them. Don’t be fooled into thinking that only 2-strokes foul plugs. 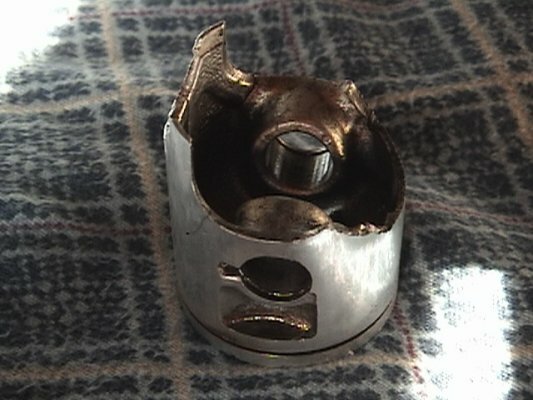 4-Strokes, although it is not as common, do foul plugs. Like I mentioned before, improper jetting is the main reason why dirt bikes foul spark plugs. 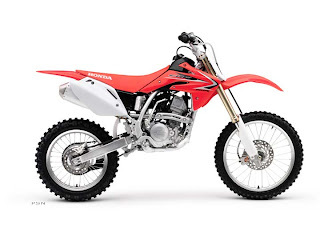 Almost every motocross bike comes rich from the factory (especially Honda 2-Strokes when they were being made). It’s usually a pretty simple fix, but many riders are too lazy and would rather continue buying plugs instead of spending a few bucks a jets. If you know for sure it’s a jetting issue that’s causing the fouling (you’ll know this by looking at the plug, which I’ll cover on how to read one in a future article), then the first thing you should do is go down a size or too on the main jet. Your goal is to get a crisp throttle response at any rpm. If you ride in the lower rpm range often, then you’ll want to go down on the pilot jet and lean out the clip position (learn the Basics of Jetting Here). By leaning out your bike, your bike will not foul plugs as easily, allowing you to ride all day long. If you want to go the easy route (well not really! ), just ride the bike harder. Spark plugs usually foul at low RPM’s, so if you’re wringing your bike out you shouldn’t have as much of a problem! If you’ve tried all of the above, then there’s a chance your dirt bike will need an engine rebuild. A worn out piston can cause a rich condition, which results in the plug fouling. So if the top-end hasn’t been rebuilt for a while, you’ll want to do that. Not only can this solve your plug/jetting issues, but it may prevent a major engine failure in the near future because of worn out parts. Good luck, and keep that bike running strong! Posted on May 18, 2012 Author mxhideoutCategories Bike Maintenance, TipsTags 2 stroke, 4 stroke, bike eats spark plugs, change spark plugs, dirt bike fouling plugs, dirtbike piston, engine rebuild, fouled spark plug, motocross bike no spark, mx bike spark plug, spark plug, spark plug fouling, top end, wet plug foul58 Comments on Why Does My Dirt Bike Keep Fouling Spark Plugs? 250cc Motocross Two or Four Stroke? 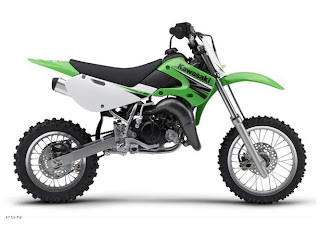 If you’re looking to get into racing motocross at AMA sanctioned tracks and are wondering which bike to buy for the 250cc class, then pay attention. Although the four-strokes have pretty much taken over the motocross market lately, it seems that there are a lot of people trying to bring back the two-strokes, and it seems to be working. AMA made it legal so that a 250cc two-stroke can run in the same class as a 250cc four-stroke. Now, the first reaction I had when I heard of this was without doubt to pick the two-stroke. I looked into it a little bit more and came up with this…. Two-strokes are fun to ride because they have a bigger top-end “hit” compared to the four-stroke. If you keep the two-stroke on the pipe then it will definitely be faster than the 250F, as long as the conditions aren’t too rough. For those of you that want more, snappy power, and a lower center of gravity, then go with the two-stroke. It may not always have the traction that a four-stroke has in rough or slick track conditions, but the horsepower makes up for it. After reading the info on each bike you would probably guess that the two-stroke is the better bike for AMA racing, and my answer for that would be, “Yes.” Clearly, it’s a faster bike if the track is in good shape, it handles better because it has a lower center of gravity and is a 2 stroke, it has a lighter front-end allowing you to skim over whoops and bumps, and it smells good. But I will say that if you are a four-stroke guy that doesn’t like the snappy-feeling power-band on the two-stroke, then you will be fine on a 250F. The 250F is by no means slow, and any good rider should be able to win on it. My choice would be to ride the 250 two-stroke though because it’s faster, and it’s a new rule that I would take advantage of. Good luck, and no matter what stroke you ride, have fun!! 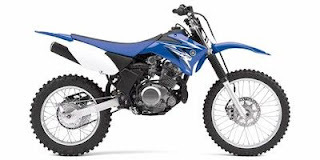 Posted on April 14, 2012 Author mxhideoutCategories Buying & Selling A Bike, Dirt Bikes, Reviews, TipsTags 2 stroke, 2 stroke vs. 4 stroke, 250cc motocross, 4 stroke, dirt bike comparison, dirtbike test, two vs four stroke, yamaha, yz 250 v yz 250f, yz250, yz250 versus yz250f, yz250fLeave a comment on 250cc Motocross Two or Four Stroke?